FCST prides itself on its customer focus and responsiveness, no matter where in the world it is needed. While each customer, or potential customer, has different needs – at different times – FCST has the capabilities and resources to satisfy these needs. FCST also continues to grow and learn from customers / partners and allies – further enhancing its ability to provide services to satisfy customer needs. When it comes to providing engineering and technology services, FCST has the experience and expertise to develop solutions for its customers. We have a wide range of research and development, process engineering and materials design capabilities that can deliver timely and cost-effective solutions to current and future customer needs. FCST’s factory can create 3-D fabrics or 2-D technical fabrics of various forms tailored to individual client needs – in weave, structure, fibre selection, and run length. 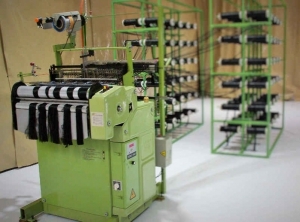 Yarn twisting and specialized tow forming capabilities are available; and plans to add additional equipment are well advanced. The 2D loom can produce a large selection of two dimensional fabrics, including plain, twill, satin, unidirectional and bi-axial weave fabrics; with a variety of fibre types, including Carbon, aramid, glass, HMPP, UHMPE, and natural fibres. This is very efficient and versatile machine, enabling FCST to quickly change from project to project with a minimum of down-time. 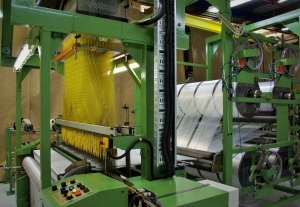 The computer operated 3D loom is the only one of its type in Australia capable of producing fabrics for composites and high performance industrial applications. In fact it is one of a very few such machines in the world. The addition of fibre in the “z” direction enables the production of very complex fabrics suitable for applications requiring high performance. 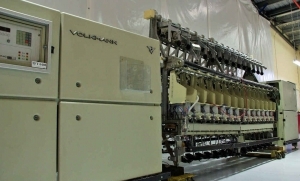 While very complex, the 3D loom is also very versatile and can weave a wide range of styles with a variety of fibres. This machine provides FCST with its own twisting and cabling system – for use with staple fibre yarns, carpet yarns and glass filament yarns. Plans are well advanced to add additional specialised equipment to support the manufacturing operation. The type of equipment and timing of installation will largely be determined by specific needs of our customers. In recognition of her extensive experience across a wide range of industries, Dr. Coman has been sought out as a consultant by government bodies in Australia and overseas. Floreana is widely regarded in her fields of endeavour and passionate about sharing her knowledge and experience to advance innovation in textiles and composites. Project Advisory Committee Head – for the “Carbon Fibre Network” established under the Victorian Government sponsored program.